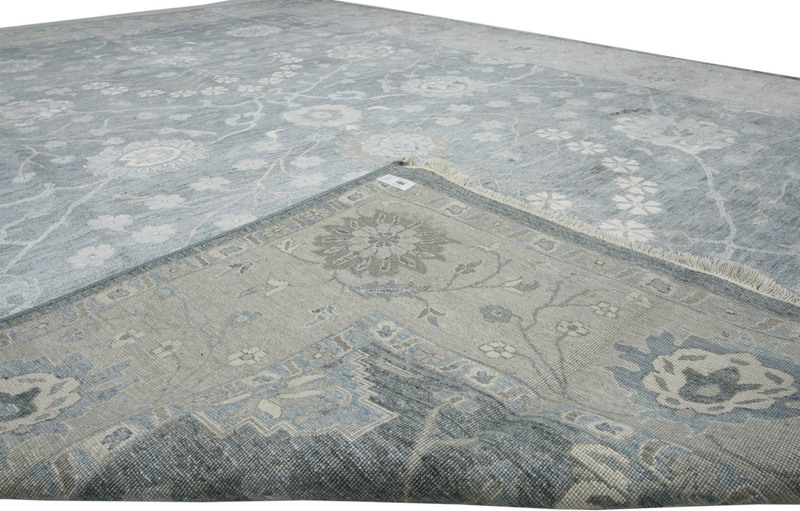 Transitional Rug with Classic Oushak Design, 08'01" x 11'09" From Esmaili Rugs Collection. 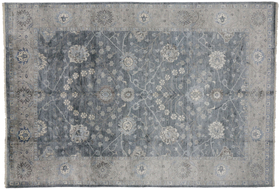 There's something fresh and modern about the Oushak design used in this transitional rug. 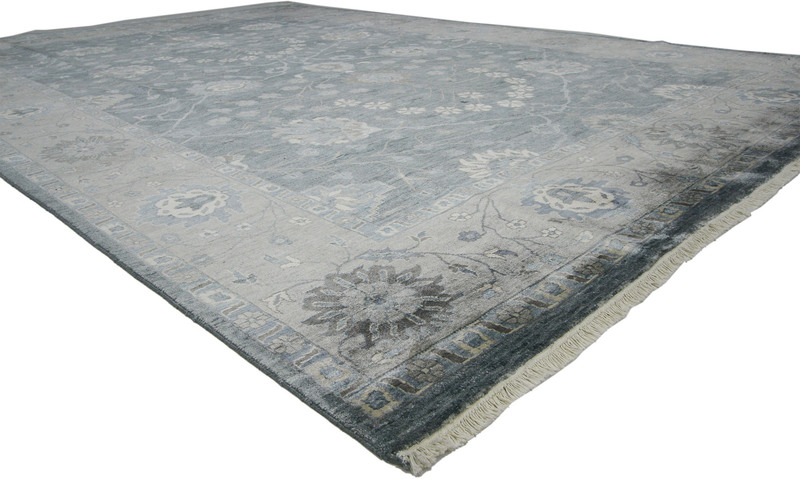 With a classic Oushak design and cool color palette, this transitional rug keeps the eyes entertained, but it is still serene and relaxing. 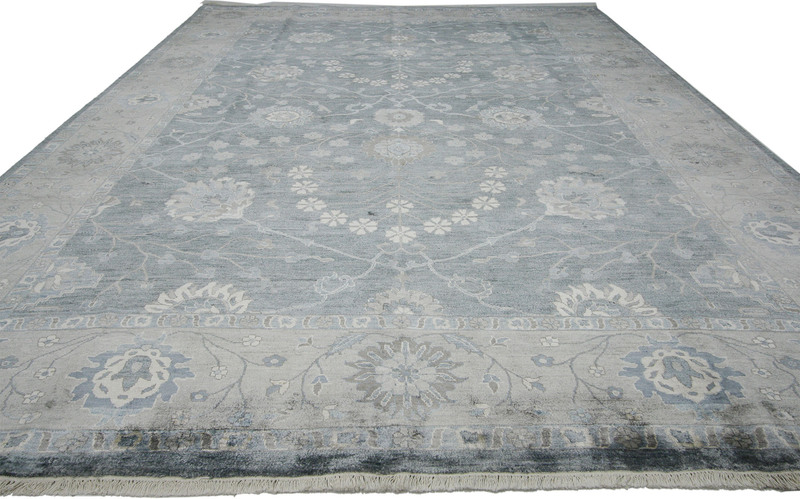 This area rug has such an elegant feel —the ivory color feels fresh and soft as the cool blue and gray accents gives it a bit of zest. 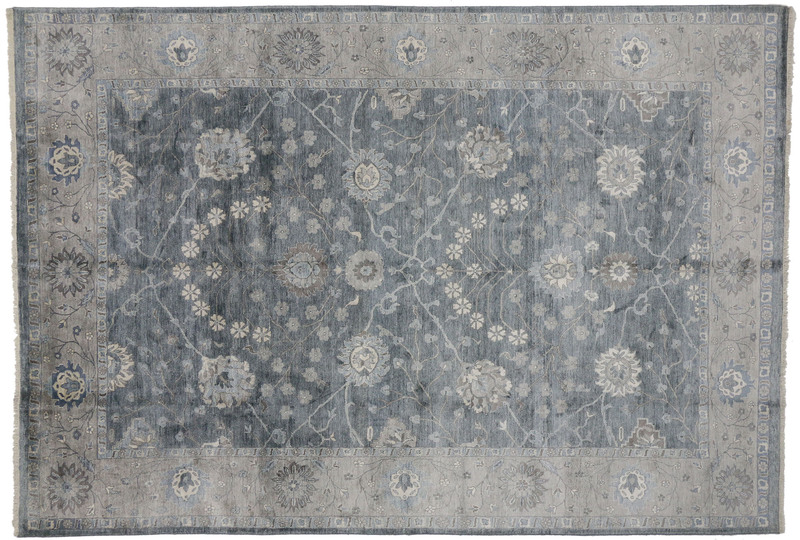 Over scale and large patterns like the one found in this transitional rug make a space feel larger rather than smaller, and it evokes an air of warmth and comfort with its timeless style. 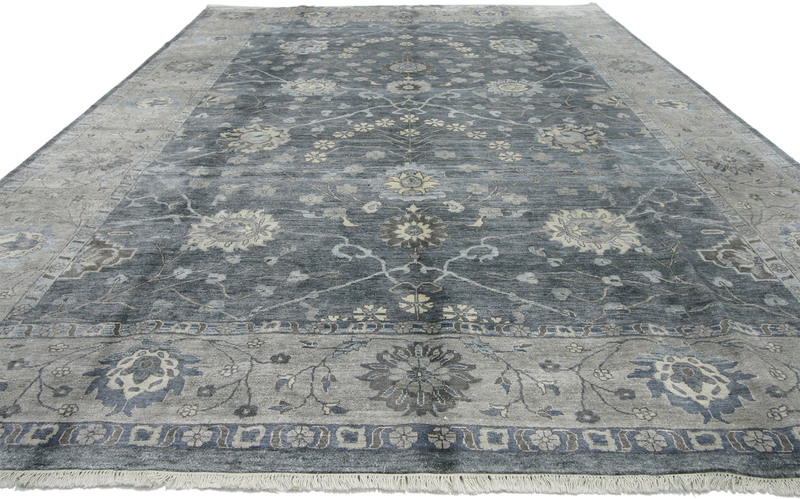 With its cool colors and Oushak design, this modern rug brings quiet sophistication and soothing elegance to nearly any setting.